The River Amber forms part of the parish boundary between Sawmills and Bullbridge. The Amber, rising near Northedge, passes by Henmore to Ford, where it receives a stream from Ashover; near Toadhole it receives a stream which rises in the parish of Sutton-in-Ashfield, in Nottinghamshire, and passes not far from South-Normanton and Alfreton. 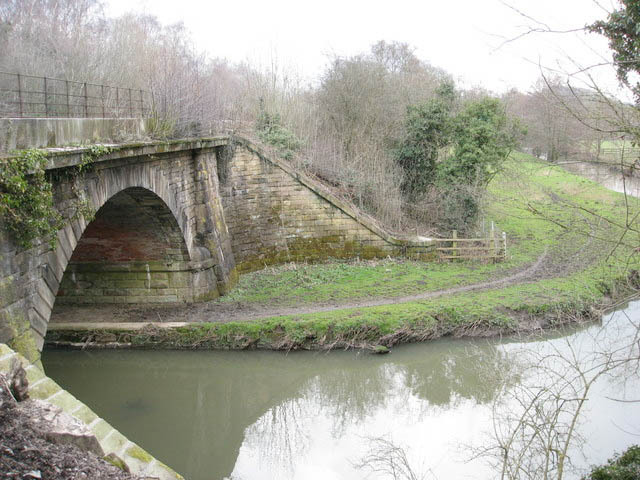 The Amber then pursues its course near South-Winfield and Pentrich, and falls into the Derwent near Crich-chase. The smaller rivers most deserving notice are those which fall into the Derwent.—Of these, the Amber is one of the most important. This stream has two considerable branches; the head branch takes its rise in the coal-shale near Ashover, and then flows through a series of denudations or exposed strata highly interesting to the geologist: these are the first limestone and its accompanying toadstone, and a long interrupted bed of limestone shale; it then intersects the whole series of gritstone, and passes through vast tracks of limestone and coal-shale until it enters the Derwent at Toad-moor bridge, upon a bed of limestone, over which the deposits of its waters form a curious bed of thin limestone and gritstone pebbles. The Nottinghamshire branch of this river, acts as a superior drainage across the great coal-field upon the eastern boundaries of this county and Nottinghamshire; and, it has been justly observed, that there is scarcely a rivulet in the kingdom, from the course of which more practical geological information may be derived.